Dr. Brad DiCarlo brings a unique style of compassionate veterinary care to Charlottesville, VA. A member of the local Charlottesville community since July 2008, he provides care to pets of all varieties, shapes and sizes. We will always present the best possible options for care for your pet. We will always include you in decisions around your pet’s care, ensuring the right care for your pet and for your family’s personal situation. We will always treat you and your family with the caring and compassion we would afford our own family and friends. 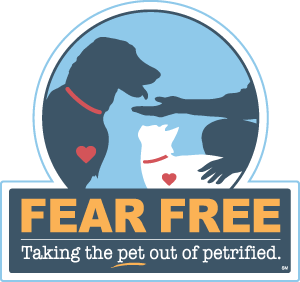 We will always uphold the latest Fear Free practices and policies to minimize any fear, anxiety or stress that your pet may experience at the vet. We are animal lovers and people lovers. We have spouses, kids and pets of our own. We understand that your family pet is important to you. Our team has been carefully selected to ensure your pets are cared for by the most skilled and welcoming caregivers in Charlottesville. 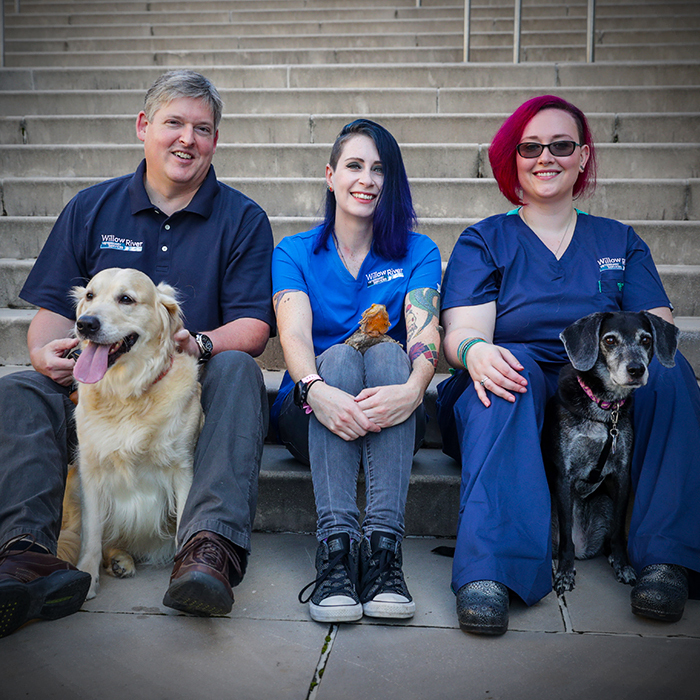 Led by Dr. Brad DiCarlo and lead veterinary technician Marthe Thomas, our team knows how to put your pets (and you) at ease, working together with your family to develop a plan of care that suits your pet’s health and your family’s well-being. All of our team members are Fear-Free Certified Professionals, and are dedicated to ensuring your pets have the best possible experience at the vet. Dr. Brad DiCarlo has been involved in the study and care for animals for more than 20 years. As an undergraduate at the University of Virginia, he worked in the biology lab and his work caring for animals continued as he entered graduate school and veterinary school. Dr. DiCarlo received his veterinary degree in 2003 from the University of California, Davis, School of Veterinary Medicine, currently ranked #1 in the nation by U.S. News & World Reports. To supplement his education and improve his surgical skills, while attending veterinary school, he participated in Remote Area Medical trips in which he performed hundreds of surgeries on animals in underserved areas. Upon graduation, he worked in local companion animal clinics for several years before transitioning to an emergency clinic where he developed his critical care and emergency veterinary skills. In 2008, Dr. DiCarlo and his family returned to Charlottesville. 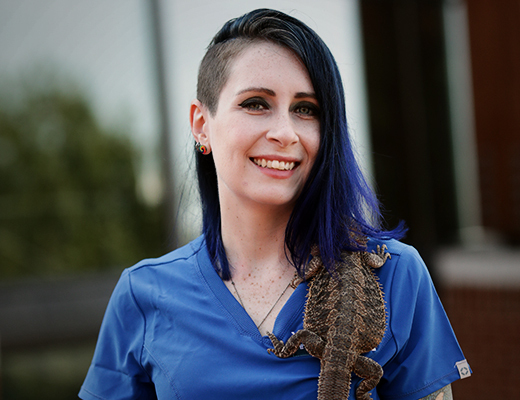 He has experience treating all types of companion animals, from dogs and cats to birds, reptiles and rodents. 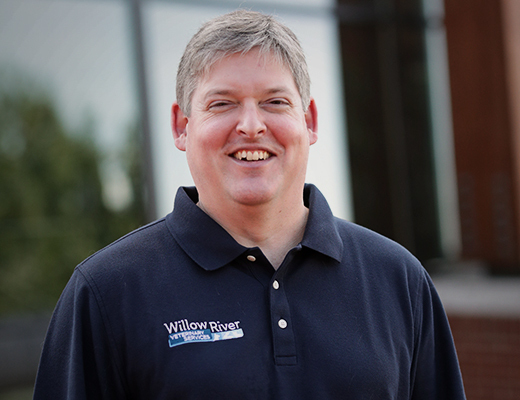 He is experienced in medical and surgical treatments as well as emergency and critical care. Dr. DiCarlo’s practice philosophy is one of bringing compassion and understanding to his highly skilled medical and surgical care. He believes that helping his clients understand all their options is the best way to ensure that his patients will receive the best course of treatment possible. In keeping with his practice philosophy, Dr. DiCarlo became a Fear Free Certified Professional in 2018! When not treating your loved ones, Dr. DiCarlo enjoys spending time at home with his wife, two children, and three dogs. Since his wife won’t let him bring home more animals, he treats your animals as if they were his own. Marthe Thomas graduated from Blue Ridge Community College’s Veterinary Technology program in 2010. Marthe has a background in emergency medicine, and has special interests in anesthesia and dentistry. Marthe became a Fear Free Certified Professional in 2018! Marthe is originally from upstate NY, but now resides in Orange with her husband and their wonderfully unruly horde of four-legged companions: three dogs named Tatsuo, Poet and Lazarus, three cats known as Sushi, Pizza and Wasabi, and a sassy bearded dragon named Túen. Her interests include creating art, gardening, and attending concerts and music festivals. Meet Lauren, our amazing Veterinary Assistant! Lauren worked in retail sales prior to starting work as a Veterinary Assistant 4 years ago. Lauren has a background in emergency medicine, specialty practice and general practice. She prides herself on customer service and patient care. Lauren became a Fear Free Certified Professional in 2018! 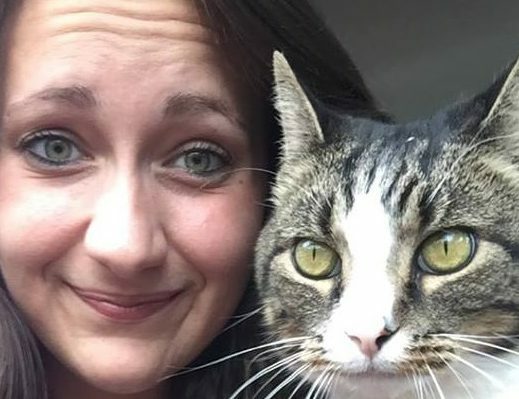 When she isn’t caring for your furry, scaled and feathery family members, you can find her couponing, hiking, kayaking and enjoying life with her 3 awesome pets; Milo the wiener/beagle mix, Otis the old but feisty kitty and Phoebe the young adventurous kitty. I have seen Dr. DiCarlo for years, and it has been a great comfort to be able to consult with a vet who could provide a tailored approach and retained an excellent working memory of what could be best for Stubby.